Favorite Designer: Corinne, Reese and Ellen especially, but all really! My dolls wear faux fur!!! IF YOU EVER TRY TO LOOK AT MY OUTFIT INFO AND IT SAYS IT HAS BEEN HIDDEN -- PLEASE CONTACT ME -- AS I HAVE ACCIDENTALLY HIT THE HIDE INFO ON MY RATHER IMPRECISE TOUCH SCREEN, THANK YOU!!! Thank you for all your love and support, friends. 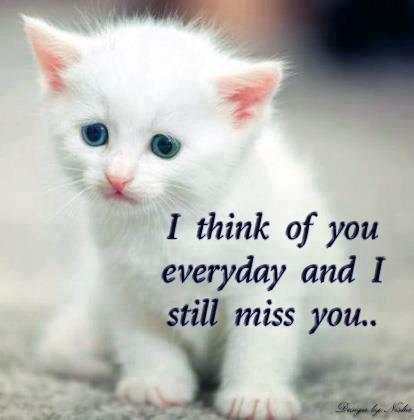 I MISS YOU EVERY DAY!!! I am all about love, friendship and harmony -- get to know me -- you will see!!! I am a nice voter. I try to take the time to really look at each persons individual effort. Just because it is not my style does not mean it is not creative and attractive. I only vote Not if the doll is offensive or NAKED! I always vote NOT for naked dolls - I'm sorry, but that is just silly and annoying. Have some imagination, please! I think some folks on here like to vote Not just to be mean, or out of overblown competitiveness. To them I say: STEP BACK, PEOPLE -- this is a game, and it is supposed to be fun! IT'S NOT COOL TO BE A HATER!!! I always accept battles - but I like to change my clothes A LOT, so if I decline you - it is probably because I want to change! Try me again! Proud member of The Golden Girls guild! FEATURED GUILD OF THE MONTH SEPT. 2014!!! Also, I was featured member of the month!! 6/22/2015 - You scored the 2nd most points this week! 10/28/2014 - You scored the most points this week! 9/9/2014 - You scored the most points this week! 9/16/2014 - You scored the 3rd most points this week! 01/26/2015 - You scored the 3rd most points this week! You won 1st place in the Soccer Mom theme. You won 2nd place in the Met Gala theme. You won 3rd place in the Old Glamour theme. You won 1st place in the Chinese New Year theme. You won 1st place in the Stuck On An Island theme. You won 1st place in the Goody Two-Shoes theme. You won 2nd place in the Hairshow theme. You won 3rd place in the Jewel Fanatic theme. You won 1st place in the Winter Punk Fashion theme. You won 2nd place in the Greeks and Romans theme. You won 1st place in the Veterans Day theme. You won 2nd place in the Androgynous theme. You won 3rd place in the Autumn Wedding theme. You won 1st place in the Butterflies theme. You won 3rd place in the Wiccan Wonderland theme. You won 3rd place in the Charity Event theme. You won 1st place in the The Eyes Have It theme. You won 3rd place in the Columbus Day theme. You won 1st place in the Yummy Mummy theme. You won 3rd place in the Evil Disney Characters theme. You won 2nd place in the Career Orientated theme. You won 2nd place in the Greatest Evil Genius theme. You won 3rd place in the A Visit To Dubai theme. You won 2nd place in the High-Waist Trends theme. You won 2nd place in the My Theme Song theme. You won 1st place in the If I Were President theme. You won 3rd place in the Masquerade Ball theme. You won 1st place in the Eighties Aerobics theme. You won 3rd place in the When I Was A Teenager theme. You won 1st place in the Furry Friends theme. You won 1st place in the Titanic theme. You won 3rd place in the Stepford Wives theme. You won 2nd place in the Green Planet theme. You won 3rd place in the Gold And Silver theme. You won 3rd place in the Summer Morning theme. You won 3rd place in the Birthstones theme. 6/22/2011, Doll of the Day! 8/20/2014, Doll of the Day! 11/18/2014, Doll of the Day! 12/30/2014 - CONGRATULATIONS! You have won 2nd Place in the Holiday Dress Up: Santa's Elves Competition! 5/23/2015 - Doll of the Day! 6/24/2015 - Doll of the Day! 8/21/2015 - Congratulations, you have won 2nd Place in Guild War! You have won 2,500 style, 1,500 hotpoints, 5,000 fame, 100 coins, 2 million moolah, and a trophy for yourself and your guild! Two of my favorite characters in the world: Dave Matthews and Grover! Apr 29 laughinggrrl has a birthday today. Sep 22 laughinggrrl has saved a new doll to their album. Sep 22 laughinggrrl has added an item to their wishlist. Sep 06 laughinggrrl has saved a new doll to their album. Sep 06 laughinggrrl has added an item to their wishlist. Sep 05 laughinggrrl has saved a new doll to their album. Sep 05 laughinggrrl has added an item to their wishlist. Sep 04 laughinggrrl has saved a new doll to their album. Sep 04 laughinggrrl has added an item to their wishlist. Sep 03 laughinggrrl has added an item to their wishlist. Sep 03 laughinggrrl has saved a new doll to their album. Sep 02 laughinggrrl has added an item to their wishlist. Sep 02 laughinggrrl has saved a new doll to their album. Sep 02 laughinggrrl has updated their profile. Sep 02 laughinggrrl has changed their profile avatar. Aug 31 laughinggrrl has added an item to their wishlist. Aug 31 laughinggrrl has saved a new doll to their album. Aug 30 laughinggrrl has added an item to their wishlist. Another Happy Birthday Jenny :) 2018! Are you ever coming back? LOL! I hope all is well with you and your family. Take care! i wish all is well with you and yours Jenny! Hey, Jenny. Another year has passed with no sight of you on the site! LOL! You are missed ... but remembered. Happy Birthday again Jenny 2017, hope all is well, will be happy to see you again!!! Happy Birthday Laughinggrrl enjoy your day! Almost a year my dear. You were on my mind, so I stopped by. Missing you much. Big Hugs Much Love. Just checking in to see if you've show up. You haven't! LOL! Happy Birthday, its been a long time since we have heard from you. Hope all is well. Have a wonderful birthday. Hope everything is okay with you and your family. Keep thinking you'll show up sometime --- not today, though! LOL! Thinking of you today! Hope all is well and that you are enjoying a wonderful Spring! Hello Jenny, i'm thinking of you ,how are you my lovely friend? I wish you had a happy new year you and yours,i miss you! Jenny I can by to see how you were doing. We have to catch up. Big Hugs Much Love.